Wonder Janitorial Service has been providing affordable commercial cleaning and janitorial services for businesses in the Canton area for over 10 years. Wonder Janitorial Service Inc. was established on the vision of customer service excellence and customer satisfaction. We deliver extraordinary value to our clients. 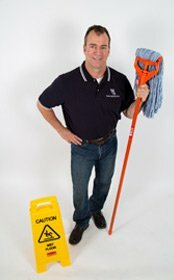 Our primary focus is on small, medium and large size companies where we can provide the finest customized office maintenance and sanitizing programs to fit unique and distinctive requirements and budgets.